Apple butter is now available to purchase! It comes in two sizes and is sold by the jar or by the case. 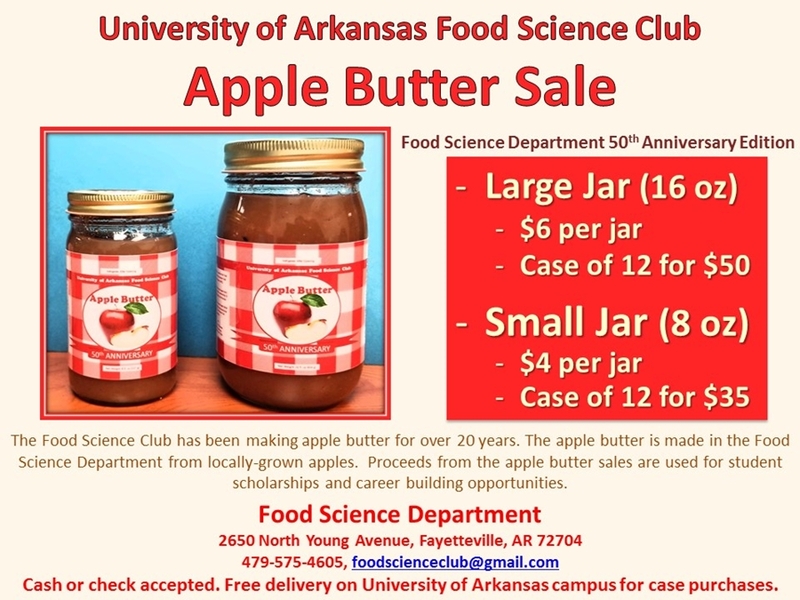 The apple butter can be purchased at the Food Science Building Monday through Friday from 8 a.m. to 4 p.m. in Rooms N113 or N201. The Food Science Building is located on the U of A research farm, approximately 2 miles north of the main campus, at 2650 N. Young Avenue. From campus, go north on Garland Avenue, turn right (east) on Cassatt, then left (north) on Young Avenue. The Food Science Building is on the right. Please use the main entrance in the two-story part of the building. Parking is free.